July | 2015 | Keto One Day At a Time. Prepare muffin pans by rolling out pie dough and cutting 4-inch (approx) circles; fit dough circles into muffin cups; set aside in fridge until ready to fill. In a small bowl, place raisins and cover with hot tap water; let stand on the counter for 30 minutes. In a large bowl, using a wooden spoon, mix together the soft butter, brown sugar, salt and corn syrup; stir well until sugar is dissolved and butter is creamed. Retrieve tart shells and divide raisins equally into all shells; then divide butter mixture into all tarts. Bake at 400F for 15-20 minutes; filling will be lightly browned but still bubbling. 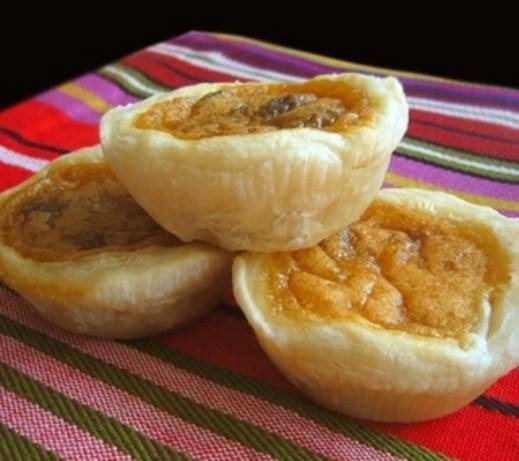 Canadians fall into two camps about butter tarts and are quite loyal to their favourite type: runny or firm. I like runny– the type that dribbles when you bite into one; if you like firm, bake them for the full 20 minutes, even adding another minute or two if you wish. Let cooked butter tarts cool in pans for 10 minutes after removing from oven; then remove and place on racks until completely cool. Place the ham in a food processor and pulse just enough to break it down a little. Remove to a bowl and add in remaining ingredients. Stir well to combine and place in the fridge for at least 2 hours before serving. 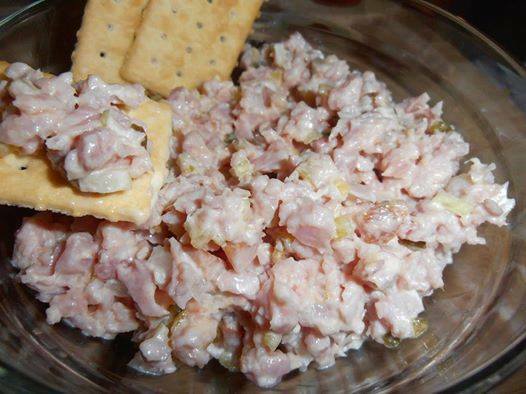 Serve with crackers or as a sandwich.